Mary Beth and I just arrived in Jacksonville, Florida and tonight we will be staying at the home of longtime friend Al Geiger and his daughter Wendy. Al's family has had a farm near the Jax airport for a couple generations and each year after Thanksgiving they bring family and friends together to make syrup from sugarcane that is grown on their farm. The video above shows Al telling the whole story. For many years, while working at the Florida Coalition for Peace & Justice, I had the wonderful chance to spend lots of time with Al who gave the organization land just outside of Gainesville for our office and a summer camp facility for kids. In the middle of a pine tree farm that Al's family owned was a beautiful pecan grove and Al donated that land to us. He'd often come to work on various things at this site and we'd have lunch together and talk about politics and life. Al had much to do with my own liberation from the worries of being a 'successful' activist. He suggested I just focus on doing the best I could and to leave the worries behind me. This was such simple and good advice from a wonderful Quaker man and it had much to do with my own positive internal changes at the time. So MB and I look forward to grinding cane with the Geiger family tomorrow. After that we'll go on to Gainesville to meet other friends and then spend time with my sister Laura who was the recipient of a healthy kidney from MB 10 years ago. 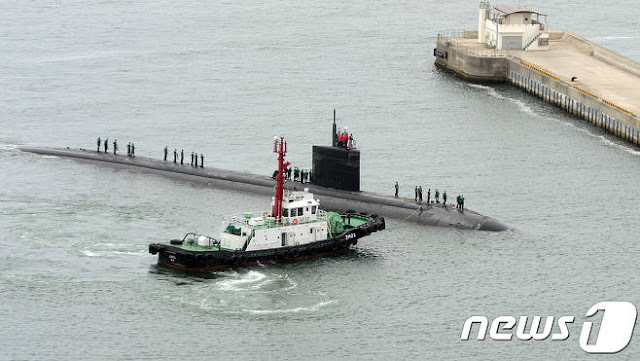 Today the attack nuclear submarine USS Mississippi (SSN 782) arrived at the new Navy base on Jeju Island, South Korea for a port call as part of its deployment to the Asia-Pacific region. The sub was participating in recent provocative US war games off the Korean peninsula along with Japanese and South Korean forces. The truth is that the people of Jeju Island don't want the US military around as the new Navy base makes the 500-year old Gangjeong fishing and farming village a direct target in any war. In addition the construction, and operation of the base, is ruining their once pristine environment. With a crew of approximately 150 the Mississippi is one of the stealthiest and most advanced submarines in the world. This submarine is outfitted for a multitude of missions, including anti-submarine warfare, anti-surface ship warfare, strike intelligence, and reconnaissance. Home-ported out of Pearl Harbor, Hawaii the sub was built at the Electric Boat Division of General Dynamics Corporation in Groton, Connecticut. General Dynamics (which own Bath Iron Works - BIW) is embarking on a statewide public relations campaign to ask the state legislature in Maine for a $60 million tax break over the next 20 years for their Navy shipbuilding operation in Bath. 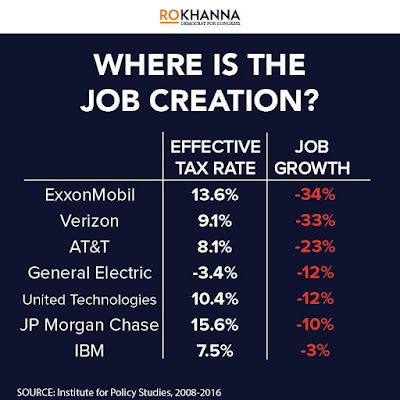 They claim that in order to stay competitive they must have state financial support - what I'd call corporate welfare. Already over many years General Dynamics has received more than $197 million in state and local tax breaks for BIW. In 2013 BIW asked for another $6 million tax break from the City of Bath. I worked with a small committee that organized a local campaign to oppose the tax cut and in the end a very reluctant city council voted to cut the request in half giving General Dynamics/BIW $3 million. That meant that citizen intervention saved the community $3 million that could be used for other local needs like salaries for firefighters, police, and for fixing crumbling infrastructure. Now they dare to come around to an already financially strapped state of Maine with their corporate silver cup in hand asking for another $60 million. On top of this I recently discovered an article in the Providence (Rhode Island) Journal entitled Defense firms spend big on lucrative stock buybacks. 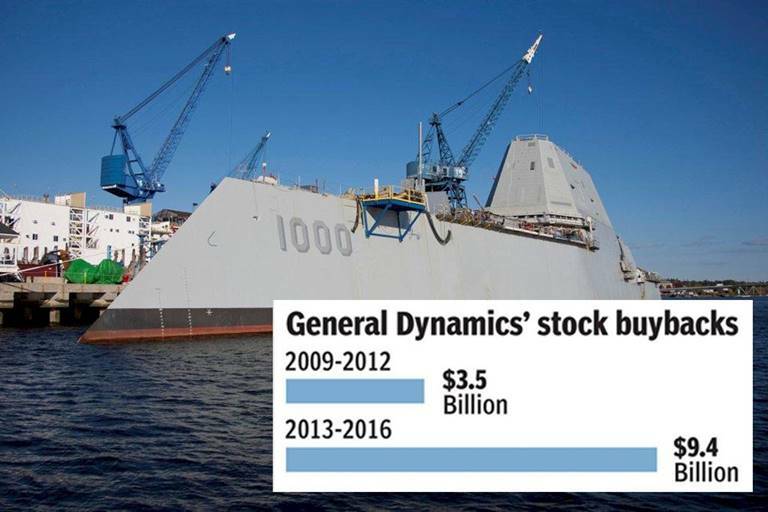 The article reports (as shown in the photo above) General Dynamics spent $9.4 billion buying back its own stocks during 2013-2016. In the article William Lazonick, an economist at UMASS-Lowell and an expert on stock buybacks says, "I think, as taxpayers, we're being taken for fools. 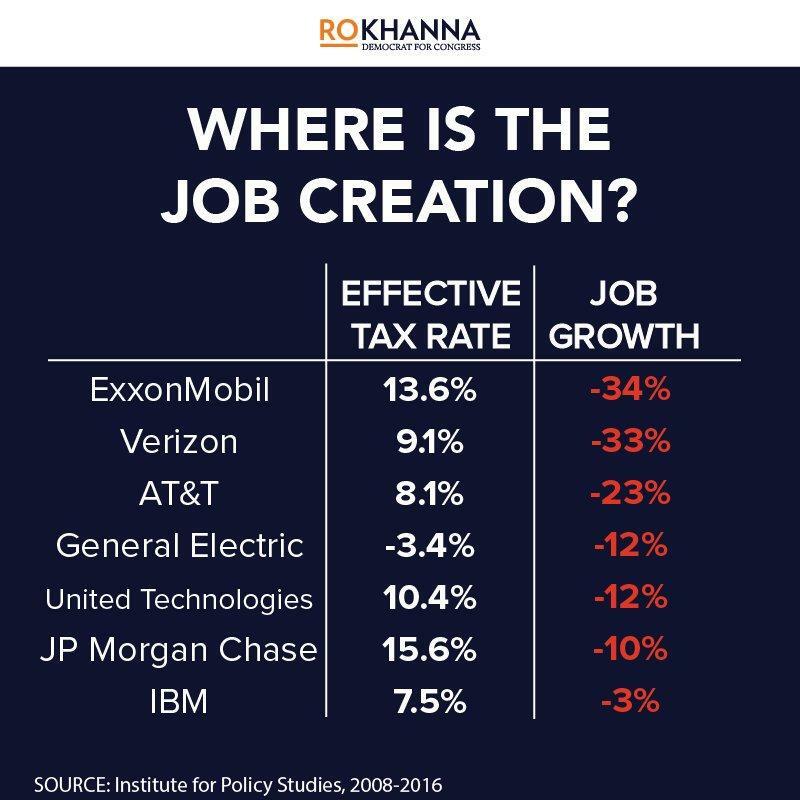 At a minimum, I would have a rule saying, 'You're not getting any subsidies if you're doing buybacks. You're showing us you don't need the money.' "
The article also suggests that buybacks are bad for workers and average shareholders because the real beneficiaries are savvy traders who can time their sales and corporate brass with pay packages linked to stock performance and earnings per share. In fact the top CEO at General Dynamics, Phebe Novakovic, last year made $21 million ($5 million of which was bonuses). It was Novakovic who accelerated General Dynamics stock repurchases since taking over the corporation in 2013 - so her bonuses are likely due to these fiscal shell games. Novakovic netted $49 million in take-home pay in her first four years as General Dynamics CEO, with an annual average of 43% of her total compensation coming by way of stock-based pay. So essentially this whole thing is a scam to bleed the taxpayers. What is most disgusting is how they play one state against another saying that if they don't get more tax breaks in Maine then they can't maintain their operations because a similar shipyard in Mississippi gets tax breaks from their state. So the poor in Maine are pitted against the poor in Mississippi and all the politicians - Republican and Democrat alike - get on their knees and give these thieving corporate pirates everything they want. Of course some of the politicians get a kick-back too in campaign donations for having played the Wall Street game. It's sick. General Dynamics, like most weapons corporations, get the vast majority of their operating funds from the federal treasury. The taxpayers are paying the freight from the start. 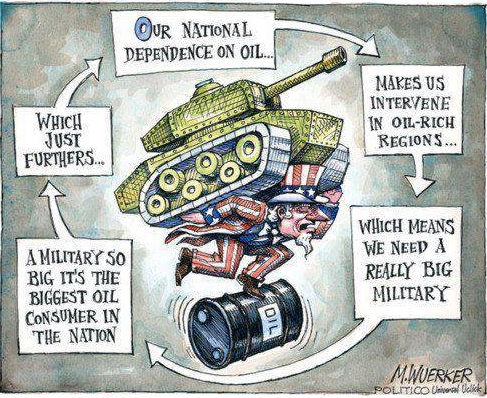 But then the military industrial complex adds another twist – a strategy to extract even more profit from the taxpayers by going to the states and even to small cities like Bath demanding additional tax breaks. We all should demand that our state legislators oppose this corporate welfare giveaway. Before General Dynamics gets anymore state taxpayer dollars they should be required to begin a transition process to build commuter rail systems, tidal power and offshore wind turbines to help us deal with our real problem - global warming. Let General Dynamics take back some of the extravagant pay increases and bonuses from their top executives before they come poor mouthing to our already financially barren state treasury. In 2013, the Navy EIS (Environmental Impact Statement) for sonar testing and military training stated that the Navy would be permitted to harm whales, dolphins, and other marine mammals nearly 9.6 million times while conducting high-intensity sonar exercises and underwater detonations over a span of open ocean surrounding Hawaii greater in area than the continental U.S.
Then, in 2015, Earthjustice sued and got the Navy to agree to refrain from such testing in very sensitive areas of Hawaiian waters. But now, the current proposal under discussion is that in 2018, the Navy would be allowed to resume practice of this mid-frequency active sonar and explosives in these sensitive areas around the Hawaiian islands and along the southeast Atlantic Coast of the US (Florida-Georgia coast) which happens to be the prime breeding ground of the North Atlantic Right Whale - one of the most endangered whales of all. In your comments you can pick the 'No Action Alternative' – Under this alternative, the Navy would not conduct proposed training and testing activities, and a permit under the Marine Mammal Protection Act would not be issued.